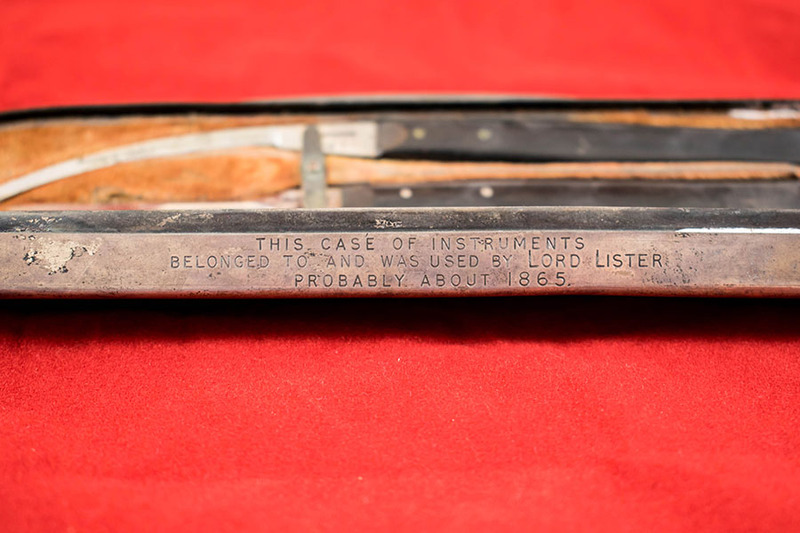 Case of operating instruments which belonged to Joseph Lister, c 1865. Lister began his investigations into antisepsis while working at the Glasgow Royal Infirmary in 1860s. 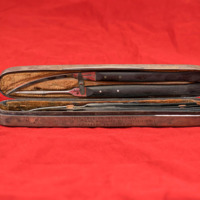 It was here that he used the first ever antiseptic dressings while attending patients with compound fractures. 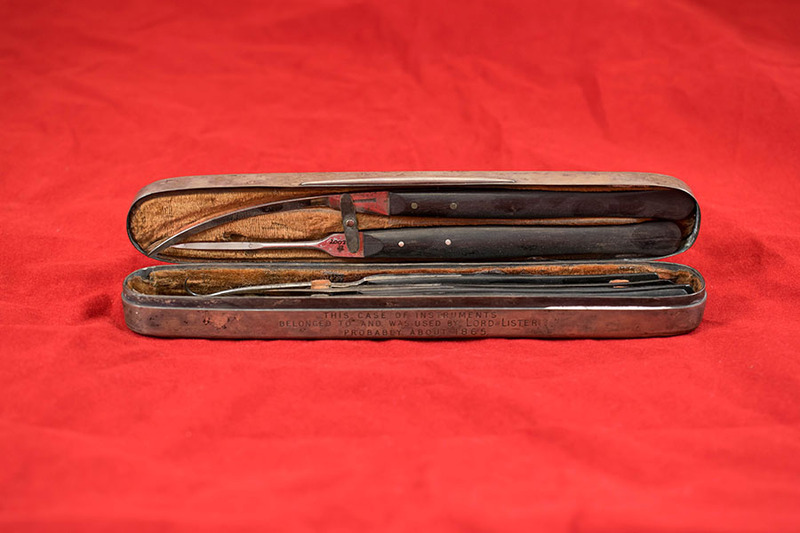 B. Borthwick; Early 19th century; Surgical instrument makers, “Sir Joseph Lister's Operating Instruments,” Heritage, accessed April 23, 2019, https://heritage.rcpsg.ac.uk/items/show/183. 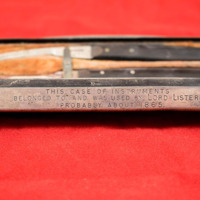 Description: Case of operating instruments which belonged to Joseph Lister, c 1865. Lister began his investigations into antisepsis while working at the Glasgow Royal Infirmary in 1860s. It was here that he used the first ever antiseptic dressings while attending patients with compound fractures.